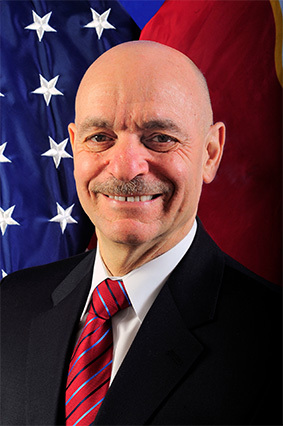 Having held every uniformed rank within the New York City Fire Department from firefighter to commissioner, Mr. Cassano provides our clients with an incomparable level of expertise and guidance in emergency response, fire safety and other regulatory issues. A member of the FDNY since 1969, Mr. Cassano was appointed FDNY Commissioner by Mayor Bloomberg in January 2010. He has served in every uniformed rank within the FDNY including Chief of Department, the highest-ranking uniformed officer in the department. As Chief of Department, Mr. Cassano was responsible for the oversight of all New York City Fire and EMS Operations, Training, Fire Prevention, Safety, and Communications. He was appointed Chief of Operations in the immediate aftermath of the September 11th terrorist attacks, and played a critical role in rebuilding the Department which had lost 343 of its members. Under his leadership nearly 7,000 new firefighters were hired, and some 6,000 others were promoted. In addition, Mr. Cassano helped oversee and expand the FDNY’s personnel training and the modernization of its equipment helping taking the department beyond its traditional firefighting duties. As a result, today’s New York City firefighters are trained in EMS response, building and construction safety, inspection, emergency and disaster preparedness, as well as security training and techniques — nearly all of which were developed and introduced on his watch. A US Army combat veteran served in Vietnam prior to joining the FDNY in 1969. He serves on the Board of Directors of the FDNY Foundation, the Stephen Siller Tunnel to Towers Foundation. Mr. Cassano was presented with France’s highest award, the Legion D’Honneur in,2009; and holds an Honorary Doctor of Laws Degree from St. John’s University, 2013.